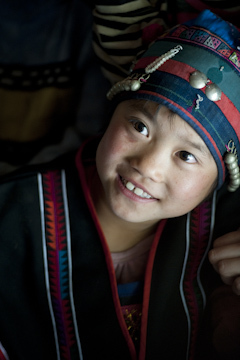 Isolated from Han China along the borders with Burma, Laos, and Vietnam, Yunnan’s deep south-west is an extensive mix of ethnic societies, botanical and zoological diversity, its history and culture the consequence of its adjoining neighbours. Scattered throughout the tropical environment are many of the province’s 25 recognized ethnic groups that make up 1/3 of the total population. This itinerary will introduce you to the variety of the region, witnessing the most amazing terraced rice fields as well as travelling along remote, winding mountain back roads. 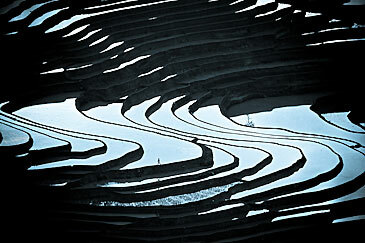 Watch sunrise over the “Mirrors of God” – the fabulous Yuanyang rice terraces, at their most beautiful in mid-winter. 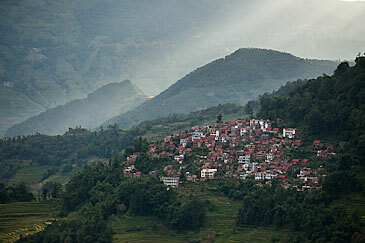 Wander through bustling markets in the charming hillside villages of the Yuanyang region. Experience some of the most fascinating off the-beaten-path roads in China on the drive along the Vietnamese and Laotian borders to Jiangcheng and Jinhong. 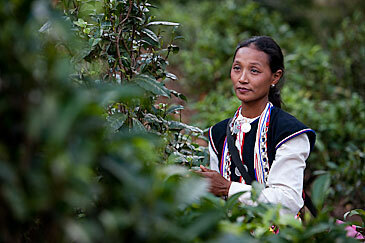 Explore exotic corners of Xishuangbanna, including a wet market, and traditional minority villages. Tremendous photographic opportunities from the rice terraces at Yuanyang to wet markets throughout the journey, to untouched ethnic minority villages in Xishuangbanna. Enjoy special opportunities to interact and work with members of ethnic minority villages as you practice your portrait-taking skills. You’re on the road in China! Today you will enjoy a wonderful drive south to the magnificent Yuanyang rice terraces, poetically referred to as the ‘Mirrors of God’. On the way, you will stop at Jianshui, a small city with a charming old town – the perfect place for lunch and a stroll around some of the beautiful Qing dynasty buildings. The afternoon drive will give you a good first taste of mountain roads in China, before arriving in the old town of Yuanyang in the late afternoon. If the weather is good, you will enjoy a stunning view over the rice terraces as the setting sun glints off each paddy field. Tomorrow morning’s focus is the capturing of the magic of the Yuanyang Rice Terraces – tonight, a landscape photography class will show you how to make the most of their beauty. At dawn, you will drive to one of the best viewing spots in Yuanyang to enjoy the rice terraces in the morning as the golden sunlight dances across the surface of the water. Spend the rest of the day exploring exotic local markets and lively Hani and Yi minority villages and eat lunch in a villager’s home before driving to watch the sunset from another dramatic viewpoint. Spend the early morning at the rice terraces before visiting a local market and a quiet village where you will be able to get in amongst the rice fields. 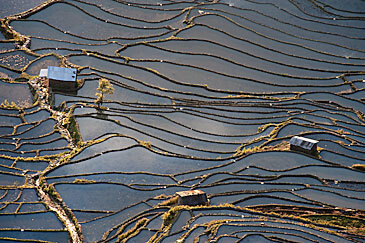 In the afternoon, you will have an opportunity to review your photos with Ron and revisit the rice terraces at sunset. Drive on beautiful back roads winding through rolling, lush countryside dotted with tea and banana plantations – this is a part of Yunnan that few other visitors ever see. Stop en route to enjoy the fresh air and gorgeous scenery. 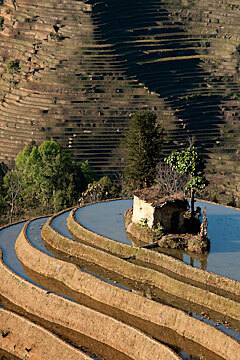 Take photos en route today as we drive through pretty hillside villages and past many more rice terraces. In the evening Ron, will provide tips on how to capture candid photographs in a busy environment in preparation for the next morning’s visit to the nearby wet market. In the morning, we will visit the vibrant market near our hotel where the bustling scene will keep your camera’s snapping. We will then continue the backcountry drive to Jinghong, where the road drops down through a series of charming valleys to the Xishuangbanna Dai Autonomous Prefecture. In the evening, enjoy a relaxed dinner at a splendid garden restaurant – your first chance to sample delicious Dai cuisine. 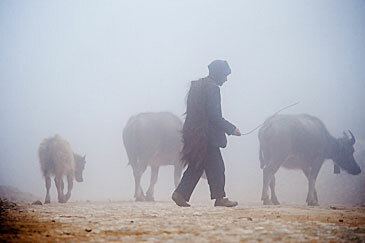 In addition to the market, you will have opportunities to photograph in the valleys en route to Jinhong. In Jinghong, Ron will hold a portrait photography tutorial to prepare you for the portrait photographs in tomorrow’s activities. Explore lovely Xishuangbanna – visit bustling Menghai market and mingle with the members of local hill-tribes as they do their shopping. 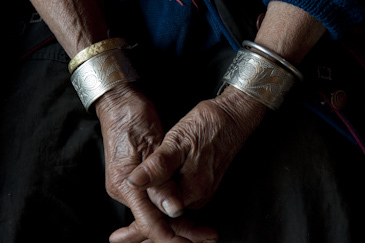 From Menghai you will travel to a very rustic Dai minority village near the border with Burma where you’ll be able to explore around and observe the everyday lives of the locals. 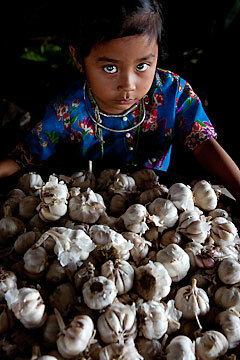 More chances to capture candid and environmental portraits in busy surroundings of the market. At the atmospheric Dai minority village, you will have a special opportunity to work closely with the villagers to capture both candid and more formal photographs of them in and around their homes. This morning, we will have a leisurely breakfast in the beautiful surroundings of the Yourantai Lodge. After breakfast we will have a light hearted and fun photography wrap up session where customers will choose their favourite photos and we will project them onto a large screen and Ron will provide some final comments and feedback. In the afternoon, you will return to Kunming by air while the cars are returned to Kunming by drivers. You will be able to arrange onward travel anytime this afternoon.